At the #BloggersFestival I so happy to meet the lovely people at JewelleryBox.co.uk. They were so lovely to talk to and had the most beautiful set up on the day - it looked like a fairytale woodland. 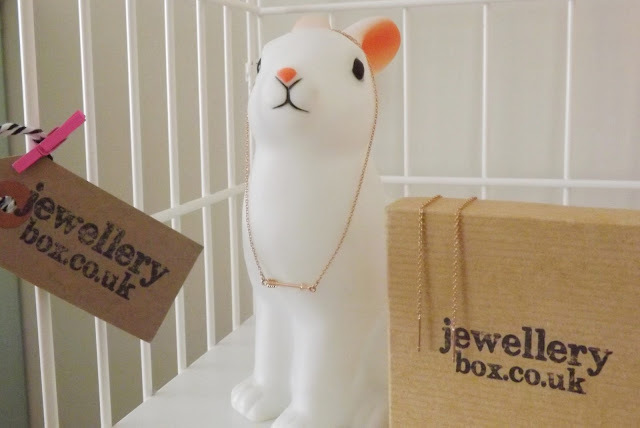 I couldn't get over their beautiful jewellery and was soon on the website when I arrived home later that evening looking at all their pieces and collections. I was lucky enough to receive a little surprise jewellery box on the day. 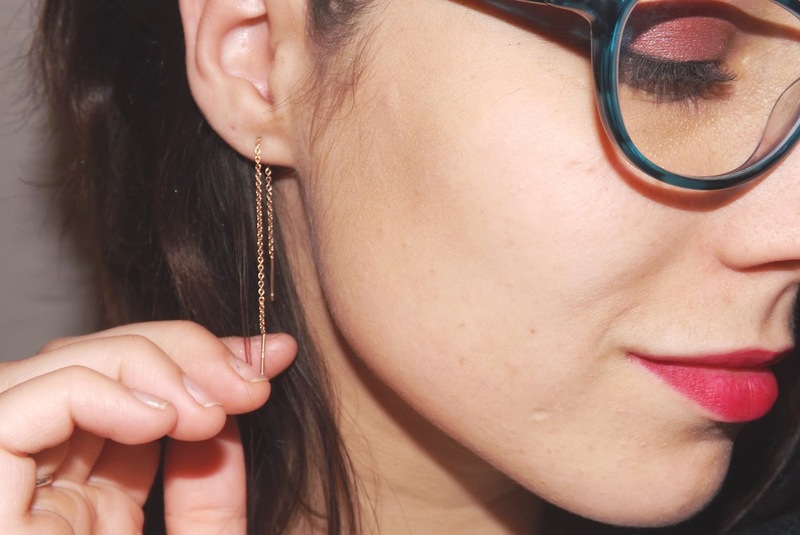 When I finally had settled down at home after a long and eventful day, I opened up my surprise box to discover this beautiful and dainty rose gold earring and necklace set! I was pretty excited about the earrings in this set the most. I'd always looked at this style of earrings when shopping and never bought a pair for some reason. I find them so beautiful and also quite versatile too thanks to the adjustable length and the ability to manipulate the look if you've got more than one piercing in an ear. They're very easy to wear too, suiting pretty much any outfit with it's simplicity, daintiness and subtlety. 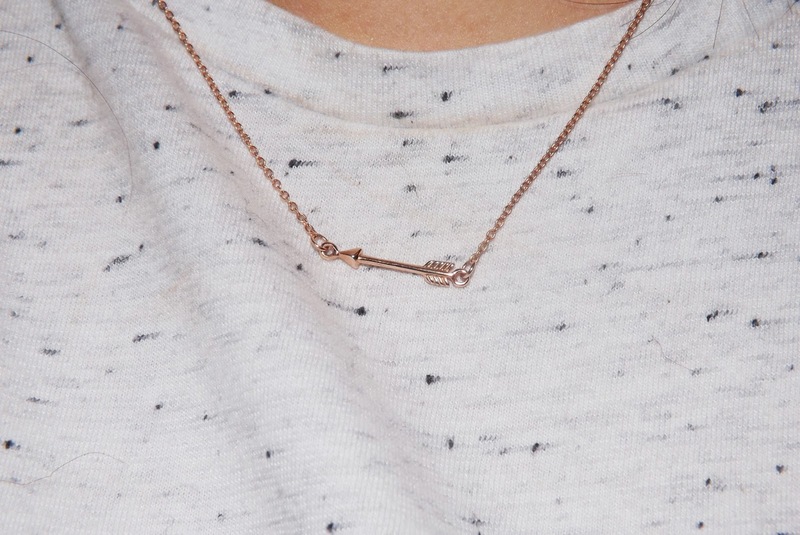 The rose gold necklace is just as beautiful! 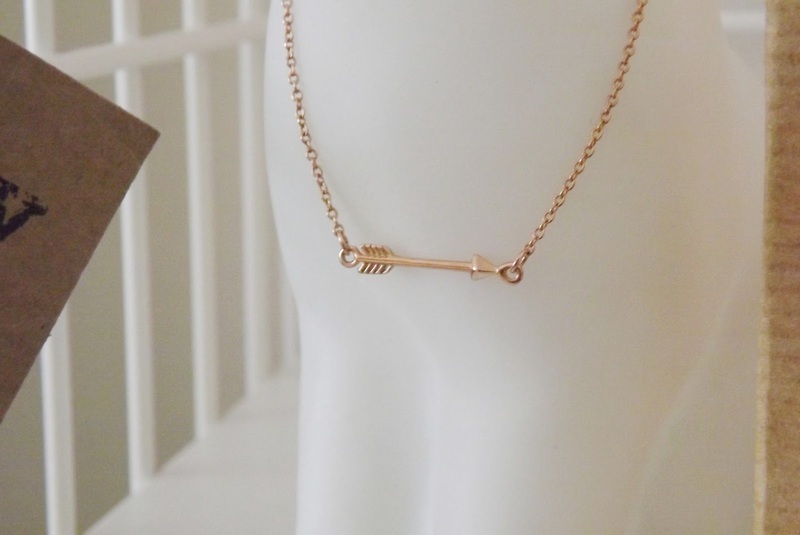 The arrow is so pretty, simple and again so versatile worn well with a variety of outfits! I'd probably wear it with a flash neck or a really high neck tee for a girlie and daintier feel to my outfits. I've always loved daintier necklaces, but where I always wear my treasured white gold necklace, I rarely wear a daintier necklace in case of a tangle if I'm being totally honest. Because this necklace is much shorter than my white gold necklace, it's easily worn together without tangling so I'm often found happily wearing them together now! 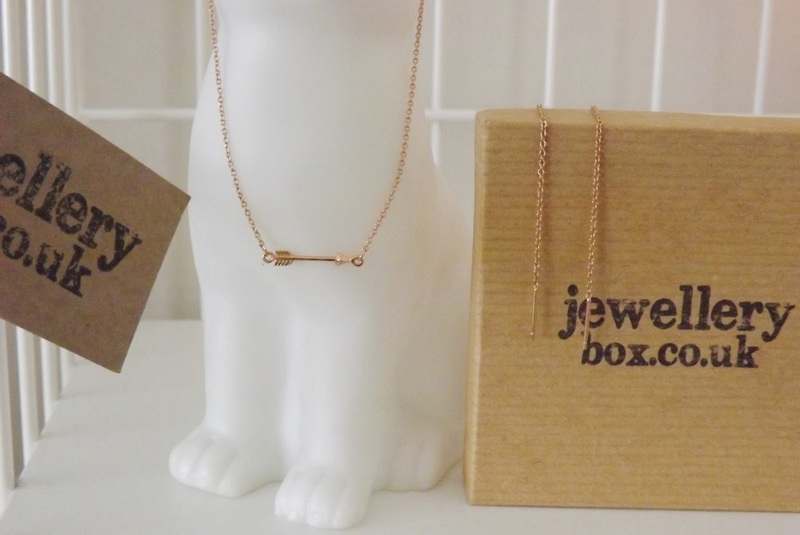 There's so many jewellery pieces on their website that I'd love to add to my collection. I saw Lauren on the day wearing some beautiful and very simple rings from JewelleryBox.co.uk and I also saw the adorable dinosaur necklaces too which I'm still dreaming about! I might have to add a few things to my Christmas list as I'm trying to budget myself for Christmas shopping now! 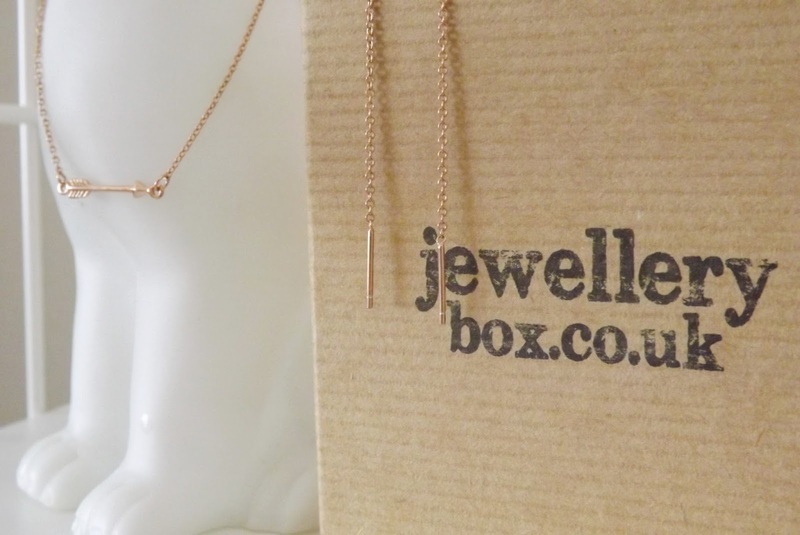 Thank JewelleryBox.co.uk for the beautiful jewellery too! I love them ♥!